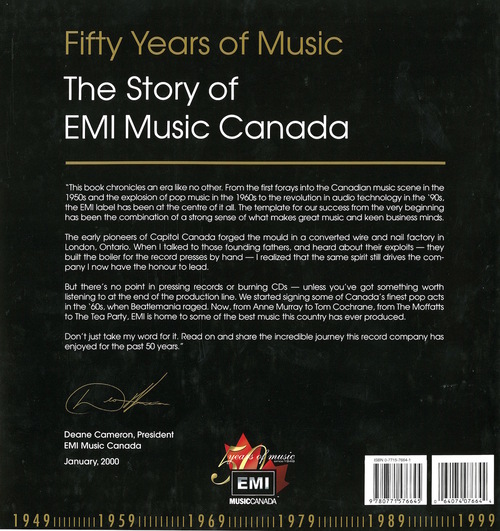 Book: Fifty Years of Music - The Story of EMI Music Canada - Gordon Lightfoot Book, Music and More! 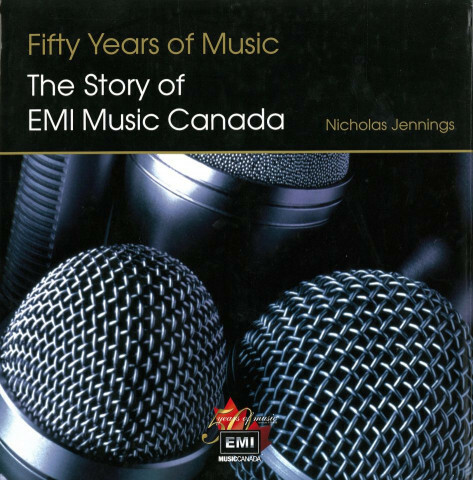 In fifty years, EMI Music Canada has grown from a local distributor for Capitol Records into a major player in our music industry. While ensuring that Canadian music-lovers could get the latest Frank Sinatra release (and later The Beatles), EMI staff also began to visit local music scenes across the country to find and promote homegrown talent. 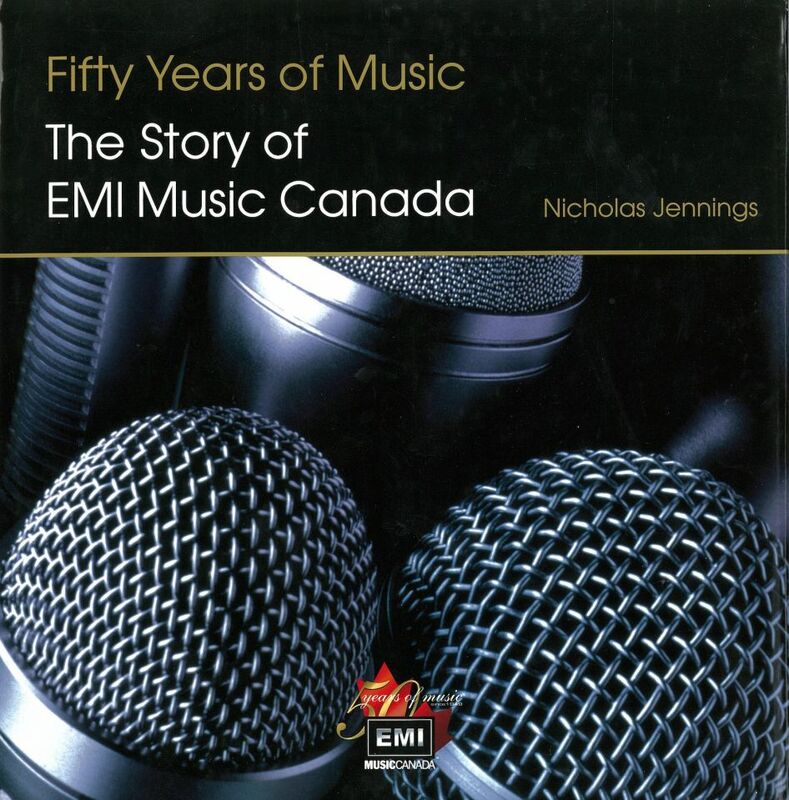 From The Esquires and Gisele Mackenzie to Anne Murray, Glass Tiger, Tom Cochrane and Susan Aglukark, EMI has championed Canadian musicians and singers and brought them to the attention of both national and international listeners. With over 300 full colour images, Fifty Years of Music is a lively survey of a half-century on the music scene and a beautiful memento and keepsake for music lovers.